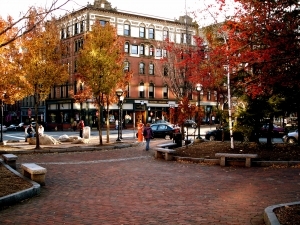 My office is located at 178 Middle Street, southwest of the intersection of Exchange Street, in the Old Port area of Portland. I share a suite with several other independent mental health professionals. Our entryway is next to the Starbucks Coffee on the corner; please come in and take the stairs or elevator to the third floor. Directions and information about parking are below. Also below are maps of the area and parking locations (click on maps to enlarge.) Please note that I participate in Portland's validated parking program, which will allow you to park for free in designated city lots and garages-- please bring your parking ticket to our appointment. Directions from I-295: Take exit 7 / Franklin Avenue. After the ramp continue straight through the lights onto Franklin. Continue up the hill, crossing Congress Street at the top of the hill. Turn right at the next set of lights (Middle Street). Go through the lights at Pearl Street. At the next stop sign you will see Starbucks on the far corner; our office is above. Directions from Casco Bay Bridge: After the bridge, continue straight on York Street. Go straight through the lights at High Street. At the next lights, bear slightly left onto Center Street. At the next intersection turn right onto Spring Street, which becomes Middle Street. Go through the lights at Temple Street, passing the Nickelodeon movie theatre on your left. At the next intersection (Exchange Street) you will see Starbucks on your right; our suite is above. Parking: There are several parking options. 1) Metered parking: Available on all nearby streets. Rate is $1.00 per hour. 2) Parking garages: Three city garages are located nearby (see map on reverse). 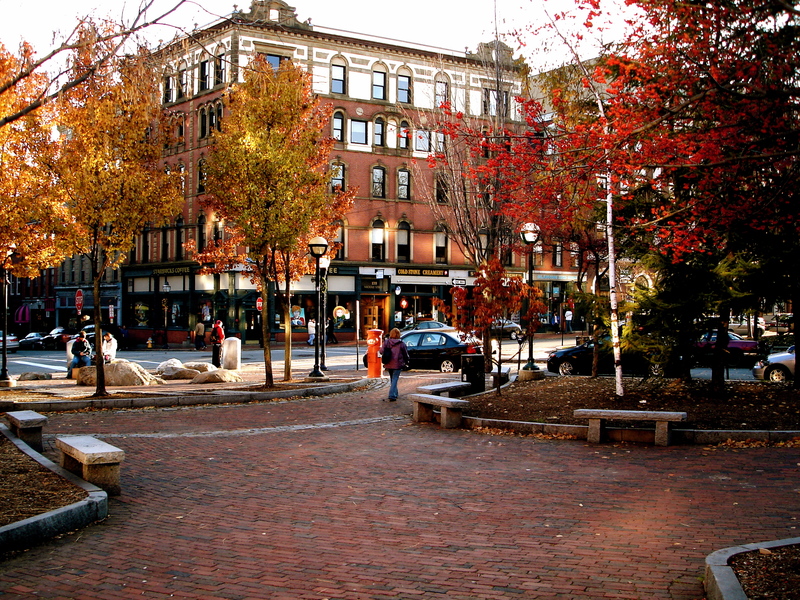 The most convenient garage is located in the block between Temple and Exchange Streets, with entrances on both streets. Another is located on Fore Street, and a third on Pearl Street. I will be able to validate your parking ticket so that you can park at these garages without charge. 3) Parking lot: A city parking lot is located on Free Street between Center Street and Temple Street. The lot will also accept parking vouchers. Its rates otherwise are lower than the parking garages. If you are having any trouble finding the office, please call at 774-0046.